It’s one thing to plan a dreamy tropical holiday escape when you’re a young singleton and quite another when you’re a busy mum with a young family. Apart from the fact that you’re probably going to be less focussed on the quality of the night clubs and the range of hangover cures, when you’re spending good money to create special family memories, you want to know that you’re choosing the perfect holiday location that’s going to tick boxes for the whole family. 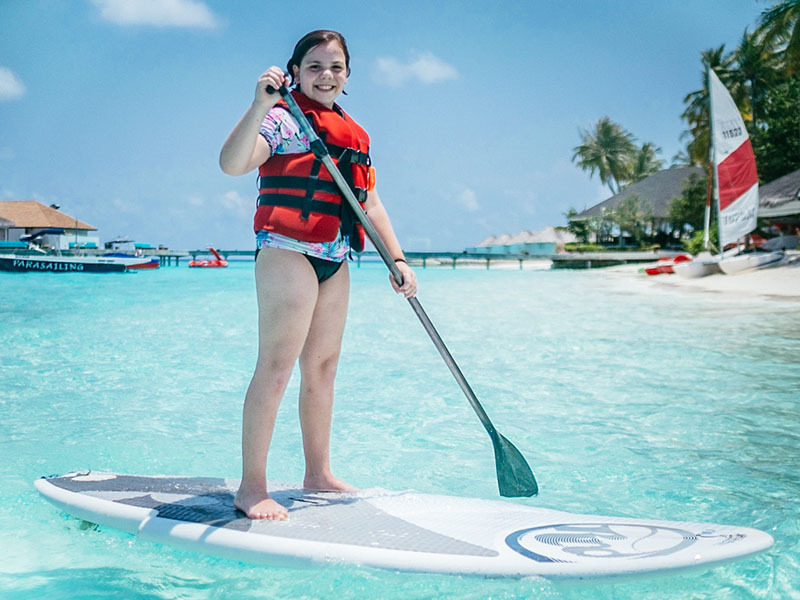 When you choose a gorgeous water villa, all access to the water is gated, so parents can really relax back at base, safe in the knowledge that no-one can get into the water without parental approval. There’s also plenty of room in each villa (including bunk beds for the kids!) so everyone can spread out and do their own thing once they’ve soaked up enough sea and sun for the day. You can expect a Kids’ Club at most holiday resorts – but these often equate to no more than a low-key babysitting service. 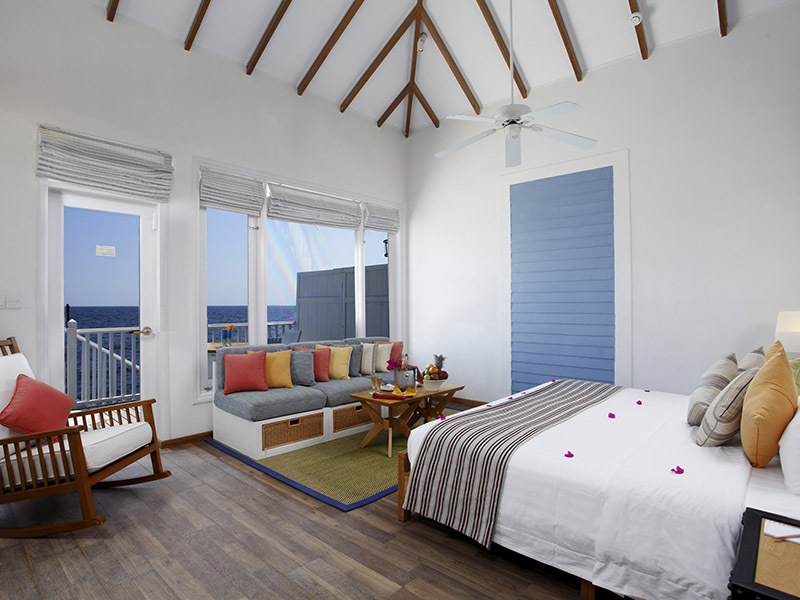 At Centara Grand Resort Maldives, though, you may just have trouble dragging the kids away. Not only is it deliciously air-conditioned, there are activities aplenty to keep all ages happily busy. Your kids will love the crab races! 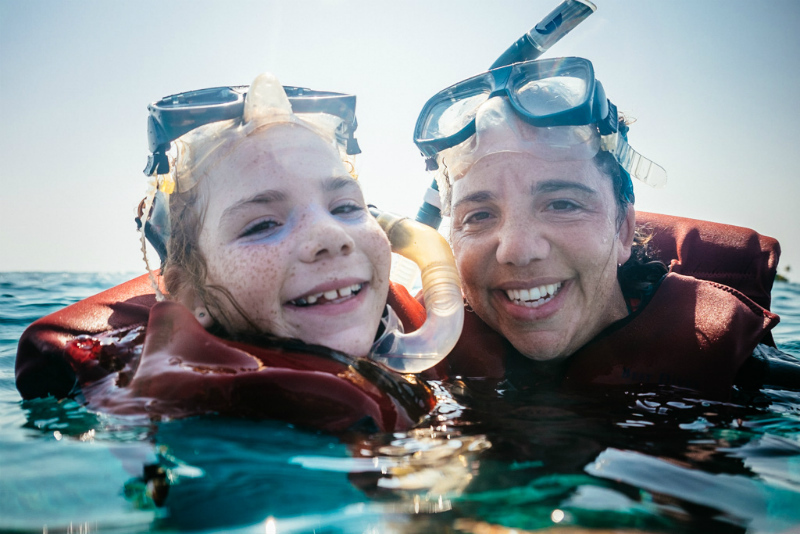 And when you manage to lure the kids out of Kids’ Club, you can then all enjoy the fish and shark feeding, fishing, snorkelling with whale sharks (one of the few places in the world where this is possible) and family evening entertainment. So much stuff to do! Let’s be honest – when it comes to kids, if the food is good and plentiful and to their liking, you’ve just given yourself a head start on creating that perfect family holiday you’ve been fantasising about. 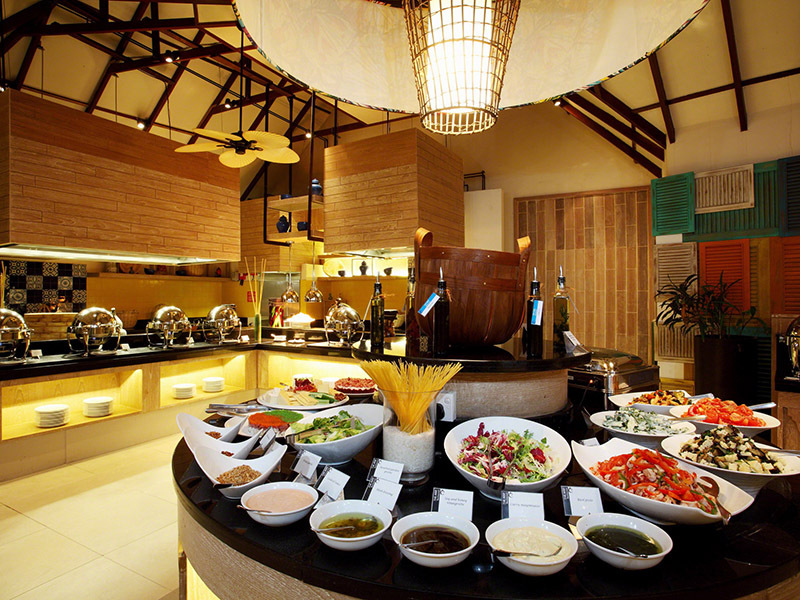 In fact, with three restaurants at the resort the choice of food is endless – you certainly won’t need to worry about fussy eaters. Let’s talk money for a moment. It’s all very well to whisk your family away to somewhere amazing but if all you can afford to do once you get there is sit on the beach and watch all the fun go on around you, the shine of the very special holiday rubs off pretty fast. So choosing a destination where everything is covered in the one package cost makes a lot of good sense. This is where Centara Grand Resort Maldives really shines. Essentially what that means is that the full price for a child (with EVERYTHING included) works out to around US$105 per night. Every. Single. Thing is included – for parents, that’s the mini-bar, the day spa, the activities, the cocktails … once there, you really can spend your entire holiday without opening your wallet. And that alone is guaranteed to make parents everywhere sigh with pleasure. Have we mentioned yet that the Maldives is basically a balmy oasis? With an average temperature of 29°C, the coldest month of the year (January) drops only two degrees to 27°C. So basically, no matter what time of year you go, it is heavenly warmth. Even better, the water temperature is a beautiful 28°C. Which makes it perfect for spending plenty of time with a snorkel checking out the a-mazing sea life. And because the Maldives is equatorial in climate, rather than tropical, the weather is still pretty great even during the wet season. It isn’t subject to the same monsoonal weather systems as tropical destinations like Bali and Fiji.